It’s been a journey of seven weekends, when you and me have tried to walk down the memory lane wandering through the ancient ruins of the Great Khmer Kingdom. It was a quest to trace back the path when Hinduism spread its wings far and wide. It was also a journey through history of one of the biggest empires of South Asia and the transition of a kingdom from one religion to another. For four days through my trip I time travelled many years back. I saved the last episode for the present, where I would share my other experiences regarding present day Siem, it’s food, stay and travel. There are many ways of reaching Siem Reap, and some of them are pretty adventurous too. Most of the tourists prefer flying either from Bangkok or from Phnom Penh. I had opted for the flying-from-Bangkok route, its approximately 50min flight. Important thing to remember is that there are two airports in Bangkok, while flights from India land at Suwarnabhoomi airport, flights to Siem Reap are from Don Muang airport which is almost the opposite corner of Bangkok. Theres a free airport shuttle available from both the airports. Since you will be leaving Suwarnabhoomi Airport, you need a visa. The same thing would be applicable when you re-enter Bangkok on your return journey, hence do keep in mind you can also opt for a multiple entry visa. Cambodia also provides visa on arrival just like Thailand, and the visa section at Siem Reap Airport seemed more organised with less traffic. The line for a visa on arrival at Siem Reap Airport goes very quickly and it took me barely 20 minutes to finish it all as compared to 4 hours at Bangkok Airport. Reaching Siem Reap city from the airport is hassle free, though being one of the important tourist destination. Just outside the airport building there is “Rent a Car” window, and they have fixed rates. If you prefer little adventure like me then Tuktuk is the best option. It takes you slowly through the fields and country side and to the city. While doing your hotel booking you can opt for pick up and drop off facility. For Hotel bookings my choice is booking.com and since I prefer planning my trips much in advance, I have been lucky with good hotels in almost half the price. 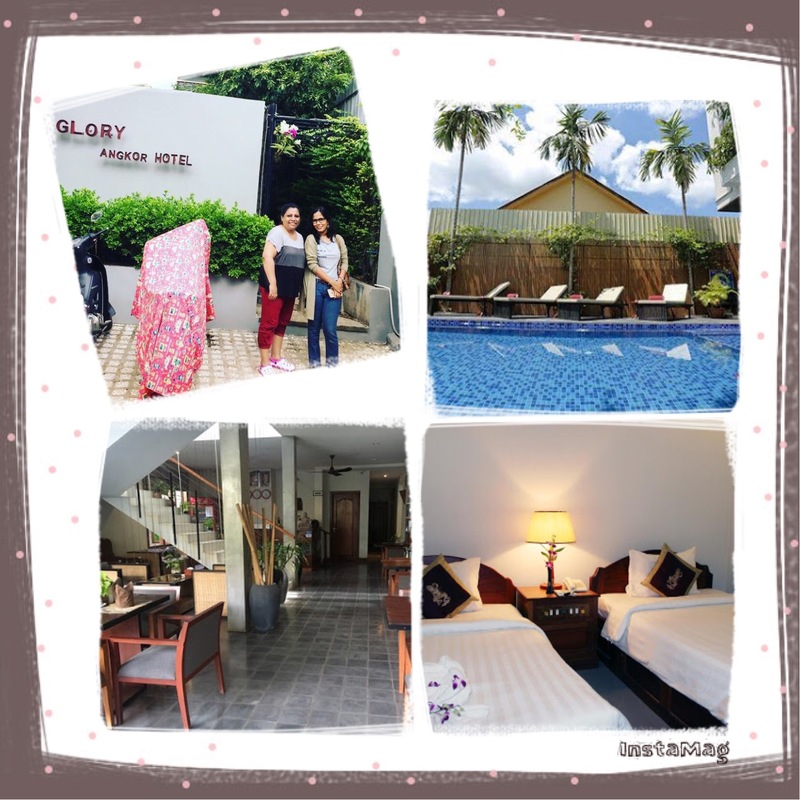 Siem Reap will provide you super luxurious hotels to bag packers hostels, choice is entirely yours. Its a calm and safe city. The hotel I stayed, was a relatively smaller one but excellent service and cleanliness. It was quite close to the old city market, night market and pub street. 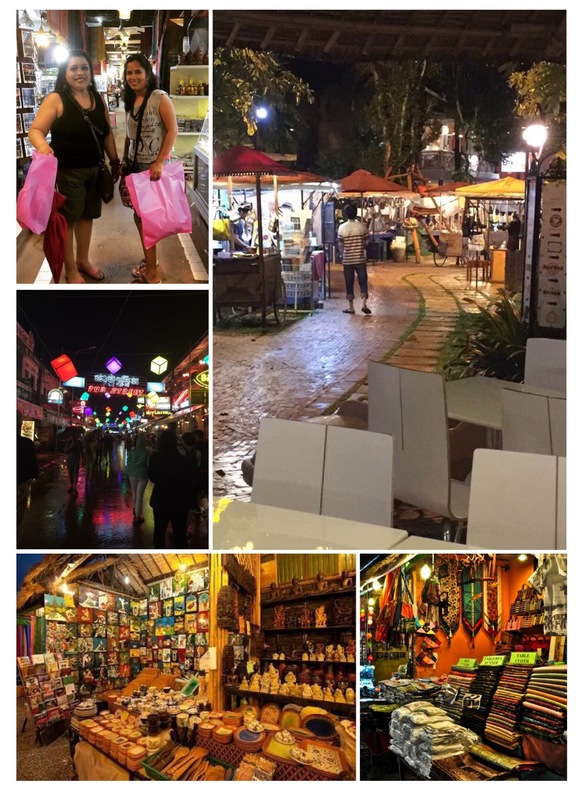 Staying near Pub Street and Night Market ensured that my evening recreation and shopping was within few minutes hop. Another thing that interests me is food, and local cuisine has always been an integral part of my travel. 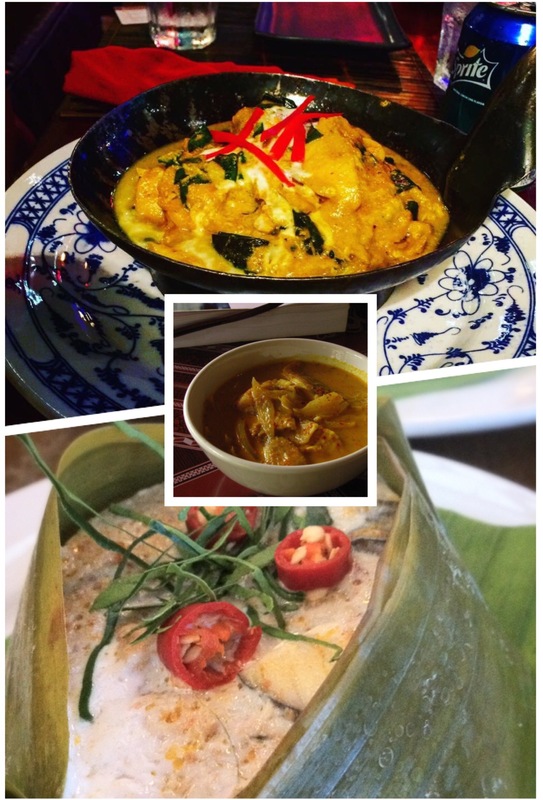 Cambodian cuisine hasn’t seen the popularity chart yet, but is slowly gaining popularity, specially “amok”. 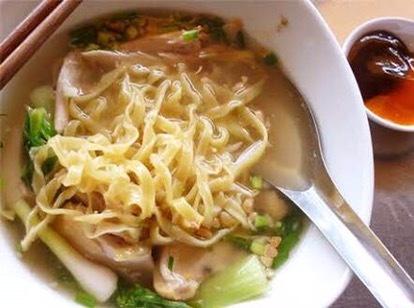 Amok is an important culinary tradition in Cambodia, almost like the national food. It’s a coconut based thick soup cooked with meat pieces, fish and vegetables, served with piping hot rice, the staple Khmer diet. 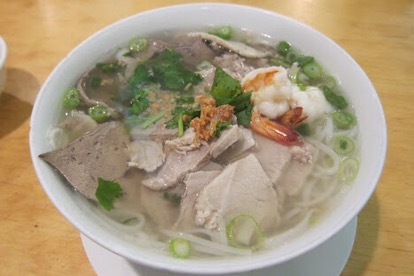 Cambodian street food is equally interesting, with a mix of Chinese and South Asia. Khmer emperors are known to be arts lover and their temples stand testament. 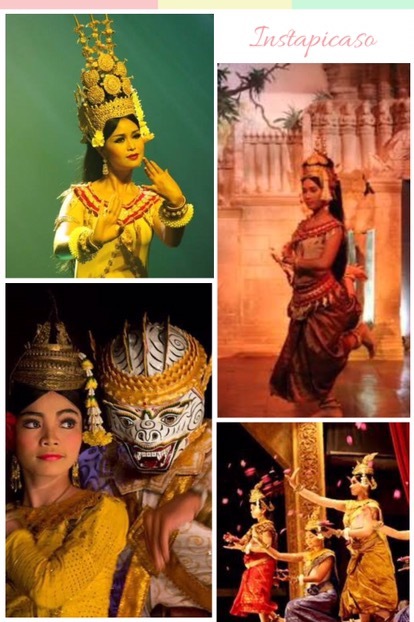 Today’s Apsara Dance goes back to the times of Suryavarman-II. It’s a traditional dance performed by men and women. There are some specific restaurants that host these Apsara Dance shows along with a lavish dinner spread. Hire a Tuktuk for the entire trip, sunrise to sunset and make sure your bargaining skills are good enough. Make sure you buy the correct temple pass. One day pass according to me is completely useless, three day pass is a must to enjoy the beauty and soak in ancient history. But if you are deeply interested in history and architecture then go for the seven day pass. To capture the best spot for sunrise over Angkor Temple, reach the temple premises latest by 4:45 AM. Give yourself enough relaxation and recreation to keep away Temple fatigue, and this is where Pub Street plays its role, providing the best distraction possible.